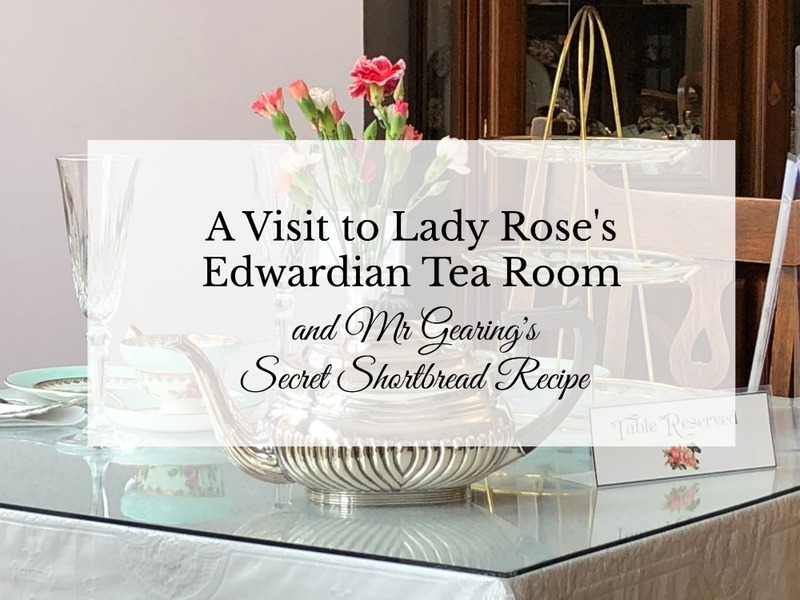 At this stunning Edwardian-themed Tea Room you’ll find homemade cakes, delicious teas, light lunches and afternoon teas, all crafted by the esteemed Mr and Mrs Gearing, Butler and Maid to “Lady Rose,” adventurer, tea connoisseur and lover of beautiful things. It’s like Downton Abbey come to life! 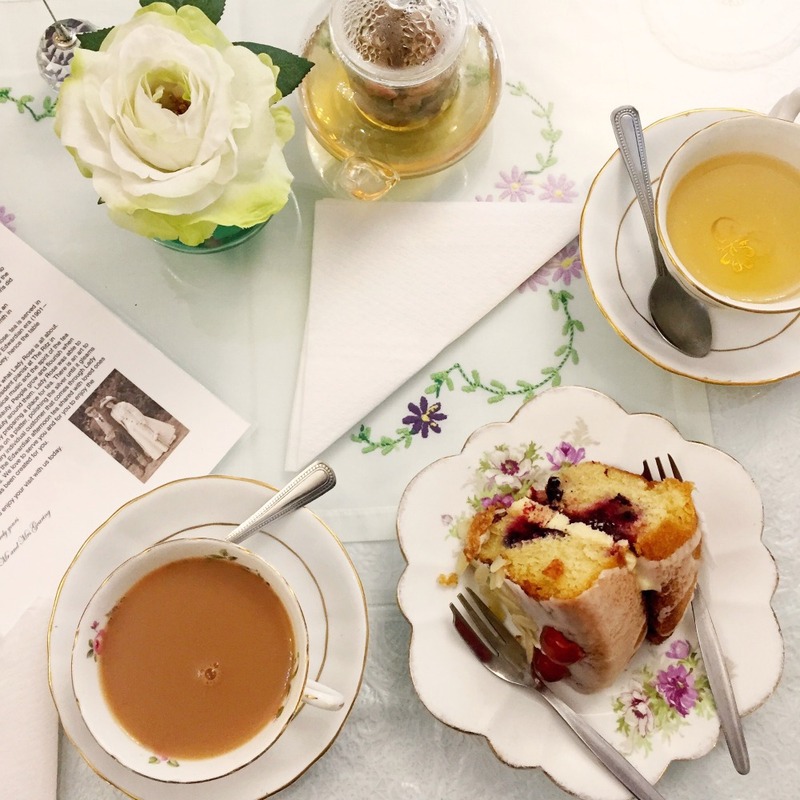 Stepping inside the tea room is like taking a step back in time. 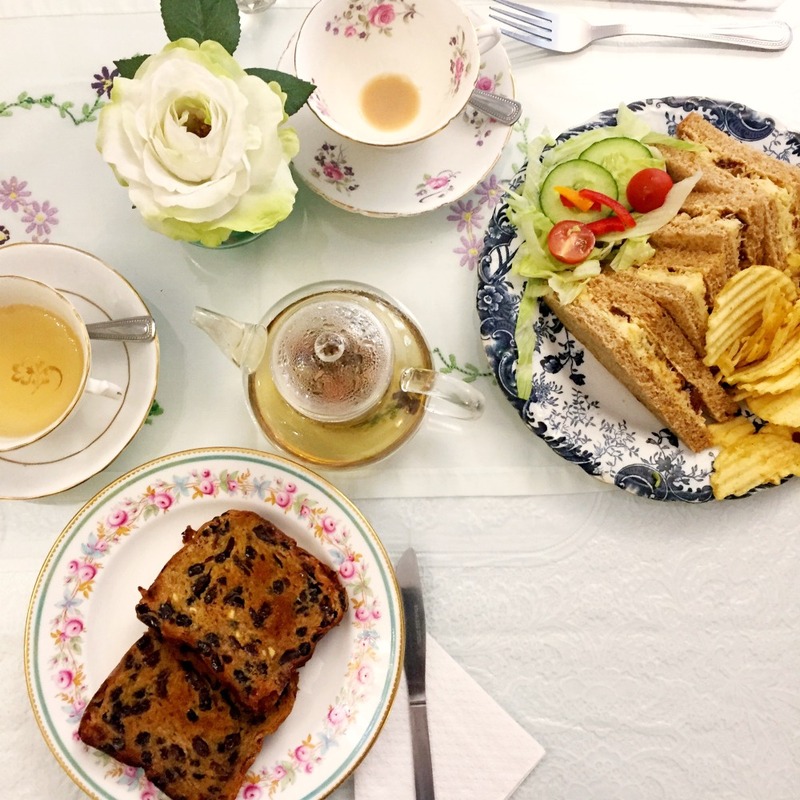 Taking tea here isn’t just eating and drinking, it’s a total experience. 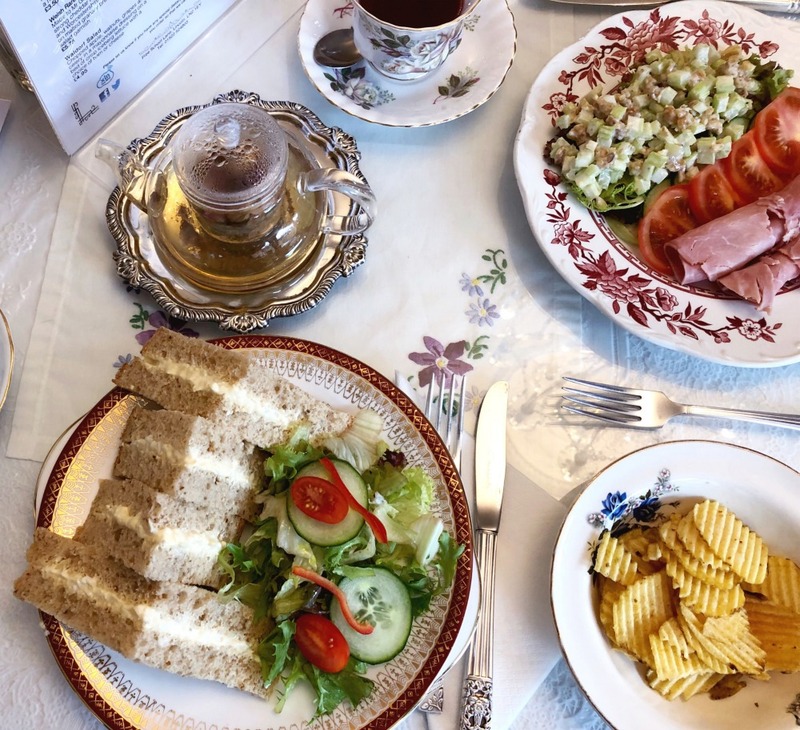 Tea is served here as it would have been served in the great houses of the Edwardian era (1901—1914) and is inspired by the TV series Downton Abbey and Upstairs, Downstairs. 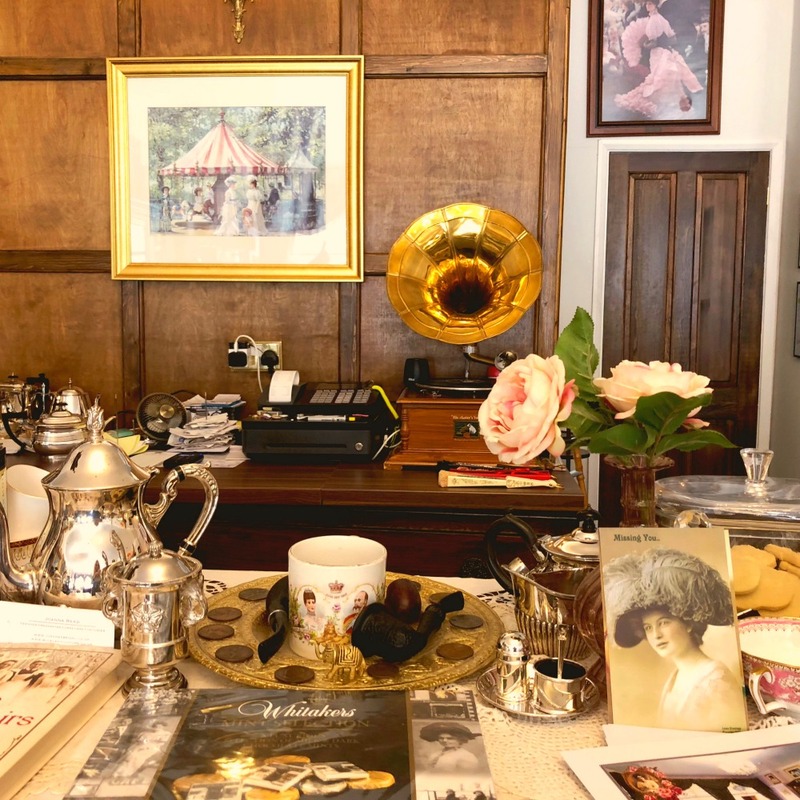 The place is full of Edwardiana and due to the fragile nature of the furnishings and crockery, many of which are genuine antiques, it’s not a tea room suitable for young children. It’s a very quiet and relaxing and it’s the perfect place to enjoy tea. This is a picture from my inauguaral visit with my old mate Sarah. As you can see one of us is very thirsty! Here we have some cheese and pickle sandwiches, some Lincolnshire Plum Bread and Lady Rose’s Rose Bud Tea. 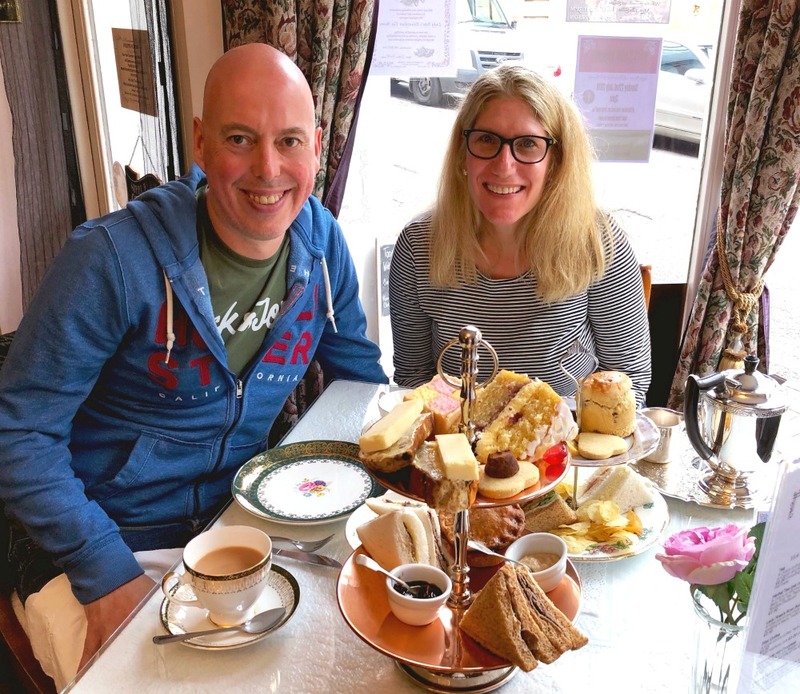 When customers are in the tea room owners, Nikki and Chris Fairey take on the persona of Mr and Mrs Gearing, the butler and maid to Lady Rose. In all the times I’ve visited, I’ve never once seen them slip out of character, not even a tiny bit! 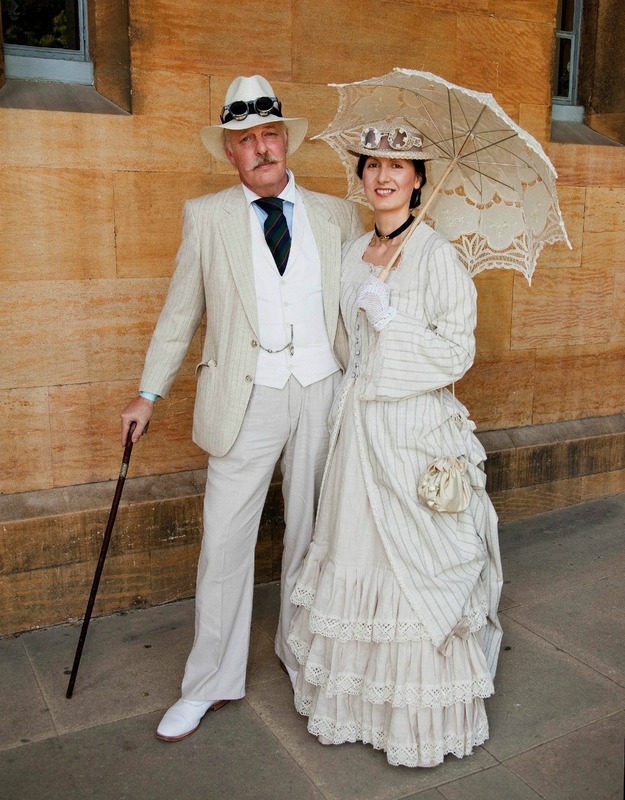 As historical re-enactors, Nikki and Chris have alway been interested in the fashion and etiquette of the period but took their interest to the next level opening the tea room in 2016. 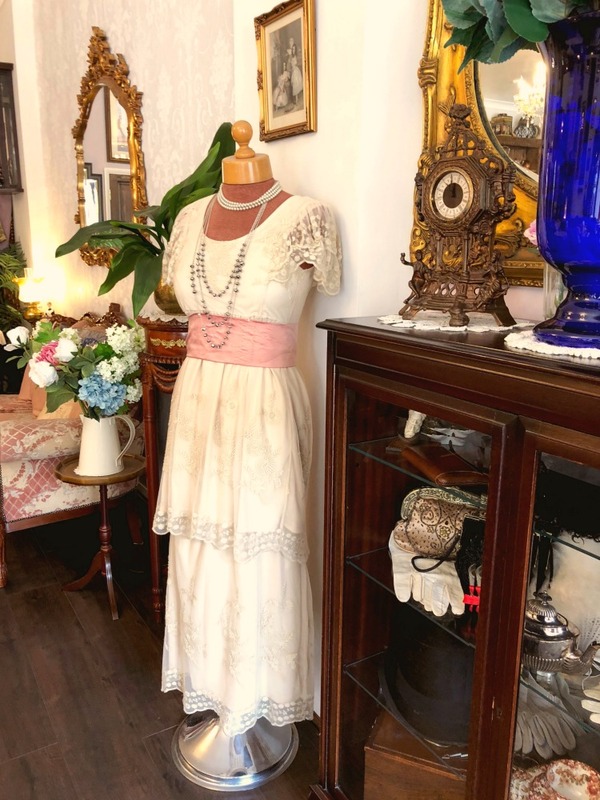 The couple certainly have an Edwardian work ethic, Nikki did all the research into the decor and design and sourced furnishing and fittings and Chris did the decorating, panelling and fit out. 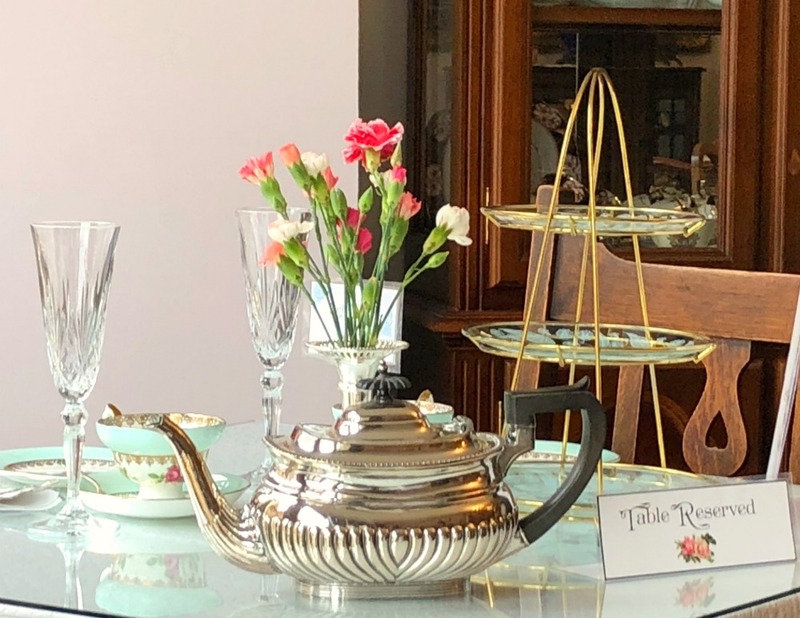 The pair have clearly carried out extensive research to make the Edwardian tea experience as authentic as possible in terms of dress, decor and etiquette. These scones are next level. They taste as good as they look, especially with lashings of jam and clotted cream. Get in mah belly! Of course, if savoury is more your style, there’s plenty to tickle your fancy. I can’t go past some Egg Mayonnaise Sandwiches and my friend Jo orders the Waldorf Salad without the celery and the apple – nothing is too much trouble for Mr Gearing – who kindly renames Jo’s salad “The Dorf” that’s Waldorf without the Wal! 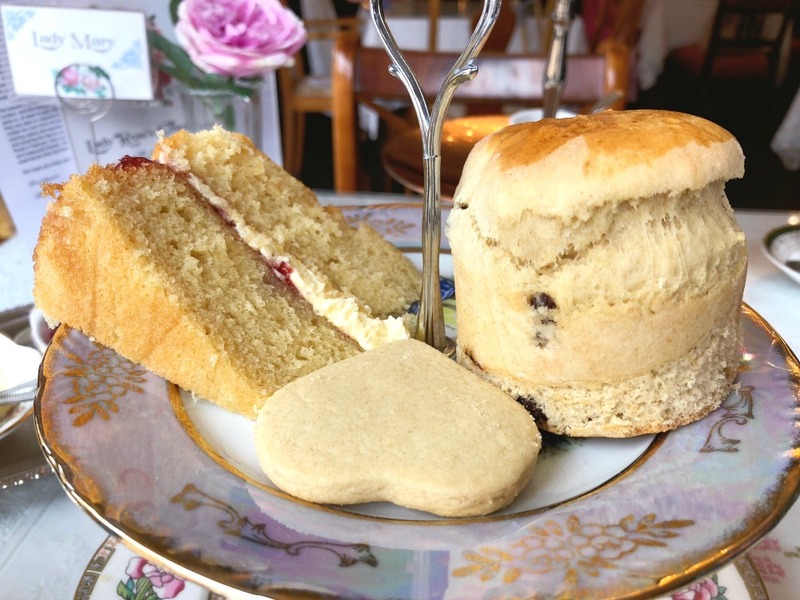 Talking of savoury check out this gentleman’s afternoon tea. 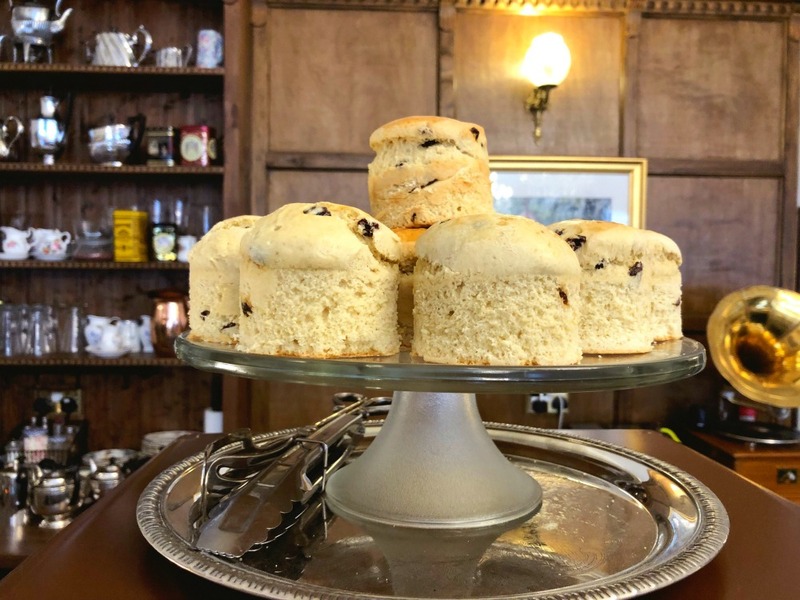 There’s a beef and horseradish sandwich, crisps, mini pork pie with pickle, Lincolnshire plum bread with mature cheddar, Mr Gearing’s shortbread and a choice of one of Mr Gearing’s homemade cakes. David goes for a Sweet and Sour Cherry and Almond Cake – good choice! David says this is one of the best afternoon teas he’s ever eaten and he should know, he’s eaten a few! 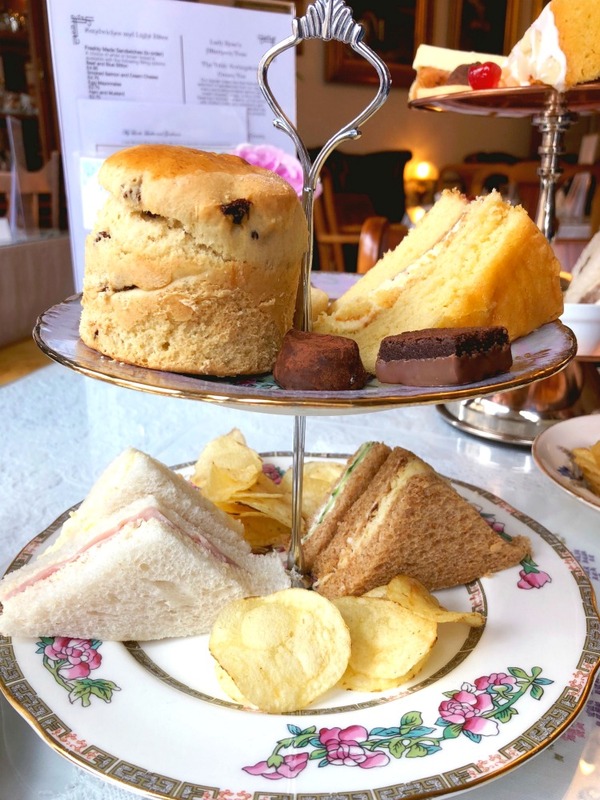 I’m feeling a little more ladylike and opt for the Truly Scrumptious Cream Tea with a selection of sandwiches, crisps, a slice of Mr Gearing’s Victoria Sandwich, a fruit scone with clotted cream and jam, shortbread, chocolates and unlimited tea. 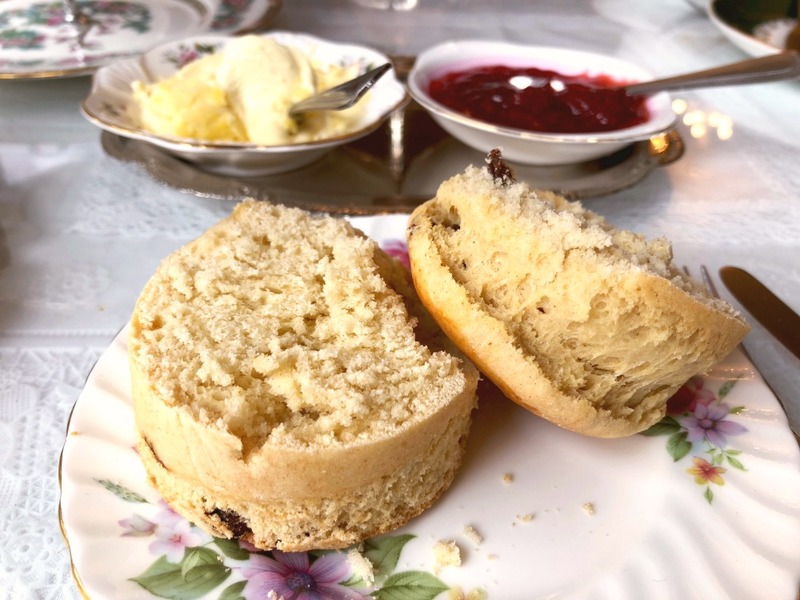 So often the top tier of the afternoon tea stand is full of desserts and delicacies I don’t want to eat but at Lady Rose’s it’s totally old skool with all your old fashioned teatime favourites and they’re all made by Mr Gearing himself! 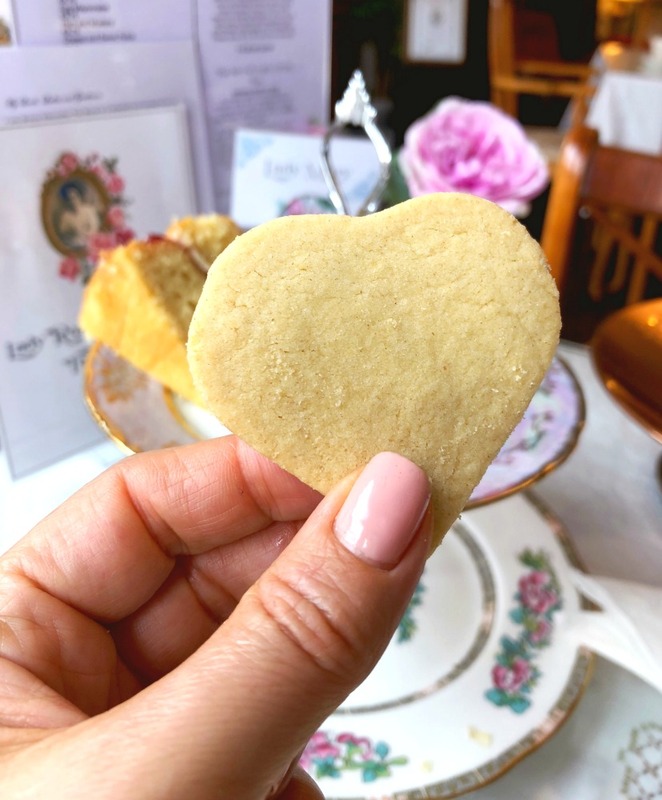 The shortbread is rich and buttery and some of the most delicious I’ve ever tasted and I’m pleased as punch that Mr Gearing kindly agreed to share his (now not so) secret recipe. This no fail recipe is so easy and so delicious, you’ll want to make it again and again! As a bonus, I’ve also converted Mr Gearing’s original recipe to the Thermomix, how thoroughly modern of me! 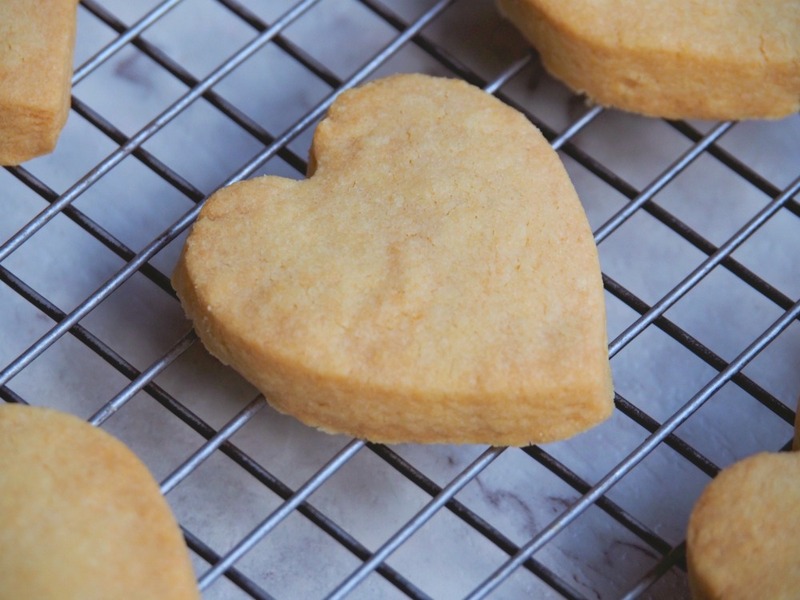 Beat the softened butter, vanilla extract and castor sugar together until light and fluffy. Add the flour, egg yolk, bicarbonate of soda and salt and beat together slowly until the mixture combines together and starts to clean the inside of the mixing bowl. Wrap the dough in cling film and allow to rest for fifteen to twenty minutes. Roll out the dough on a floured surface to about 1cm thickness and cut into desired shapes. Place on a baking sheet with enough space between to allow a little expansion. Bake in the middle of a preheated oven for about 15-20 minutes or until a light golden brown. 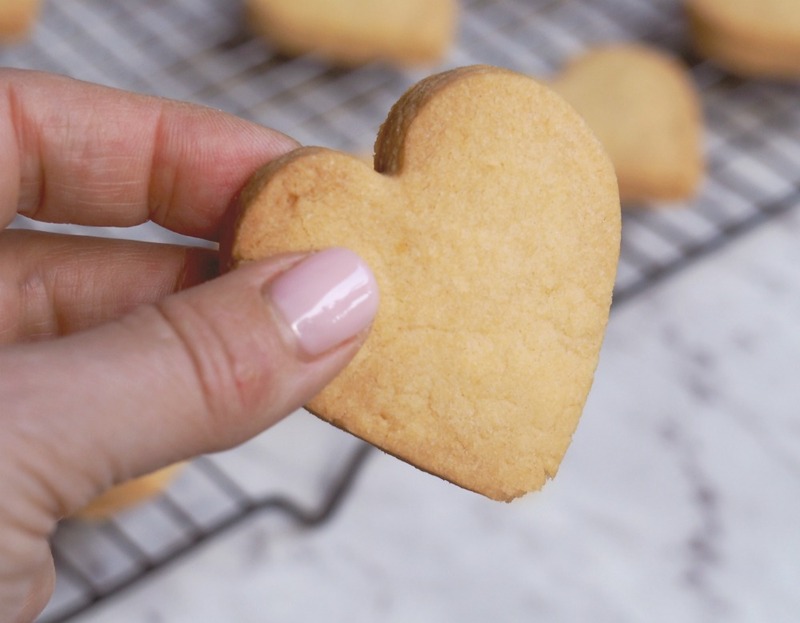 Allow to cool for a few minutes before placing the biscuits onto a cooling rack and leave to go completely cold before enjoying a piece with your favourite cup of tea. Place butter in to TM bowl and chop for 3 seconds on speed 7. Add the sugar and mix for 5 seconds on speed 7. Insert the butterfly and mix for 1 minute on speed 4. Remove the butterfly and scrape down sides of bowl. Add flour, bicarb, salt and egg yolk and mix for 10 seconds on speed 6. Scrape down sides of bowl. Mix for 20 seconds on interval speed or until dough starts to come together. Tip dough on to a clean surface, bring together and wrap the dough in cling film and allow to rest for fifteen to twenty minutes. 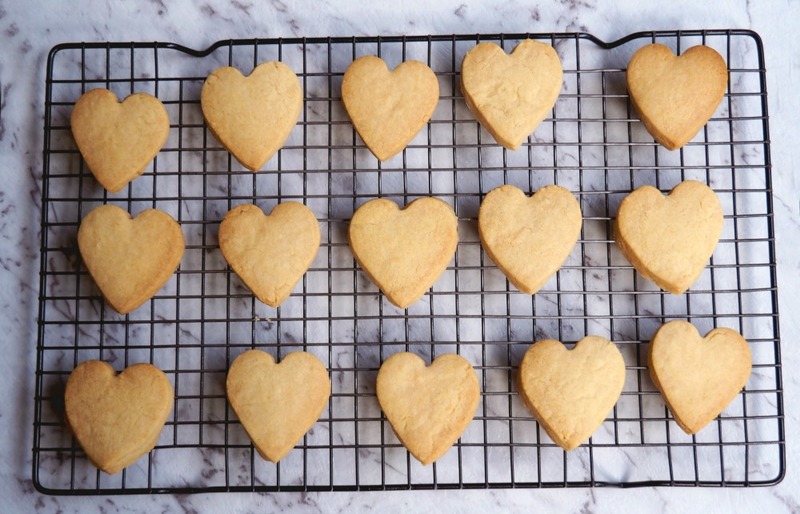 Allow to cool for a few minutes before placing the shortbreads onto a cooling rack and leave to go completely cold before enjoying a piece with your favourite cup of tea. This post is not sponsored in any way. I did not receive any financial compensation for the post. All food and drinks were independently paid for and all opinions are my own. I’m just sharing the love!